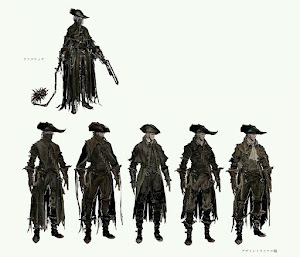 On Nov 2017 Bloodborne tools were released opening path to properly datamine Bloodborne's files which includes models, textures and other assets. 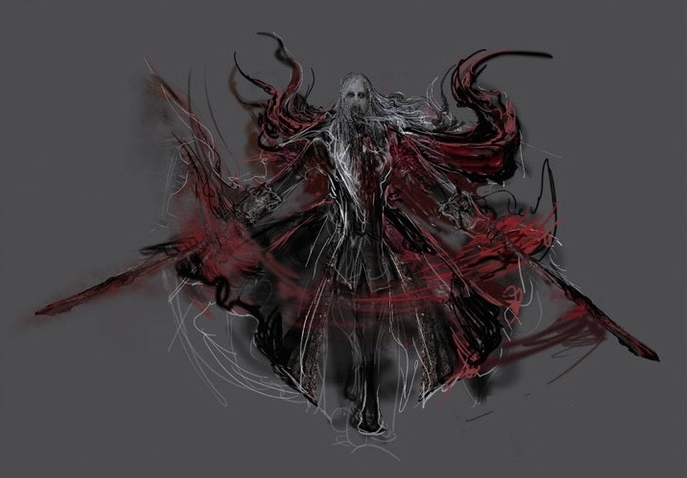 In Data Mining page are listed unused enemies, NPCs and weapons as well as inside look on how the game operates. 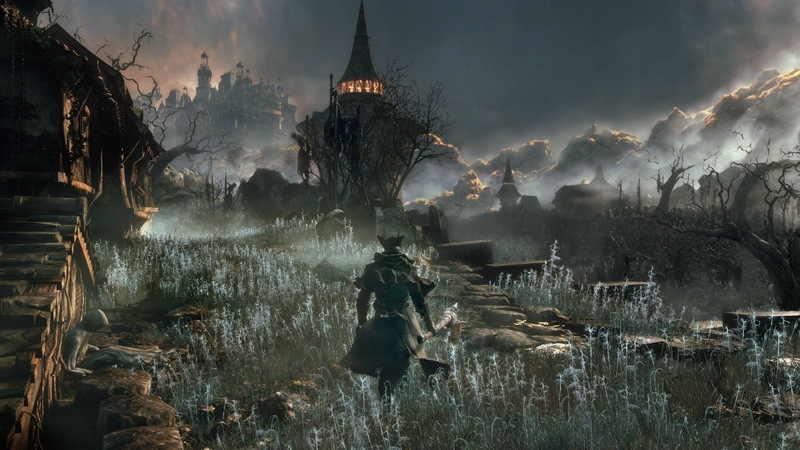 On May 2017 method of editing Bloodborne's PS4 savefile through 3rd party software was found. 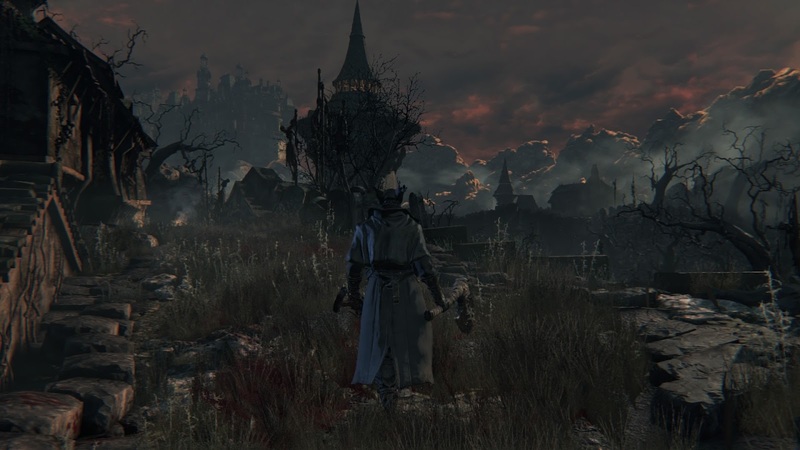 In Modded Save page are listed items discovered with this method that are, at this time, not found within the game in legitimate way. 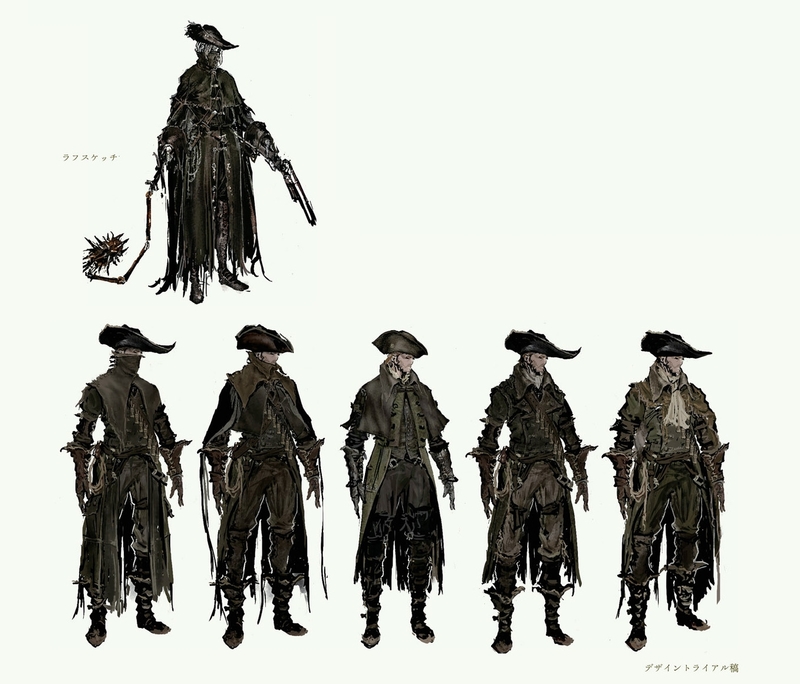 Returning to areas featured in the early Project Beast and Bloodborne trailers reveals that aspects of their design has changed. For more information go to Early Trailers & Retail Comparison wiki page. 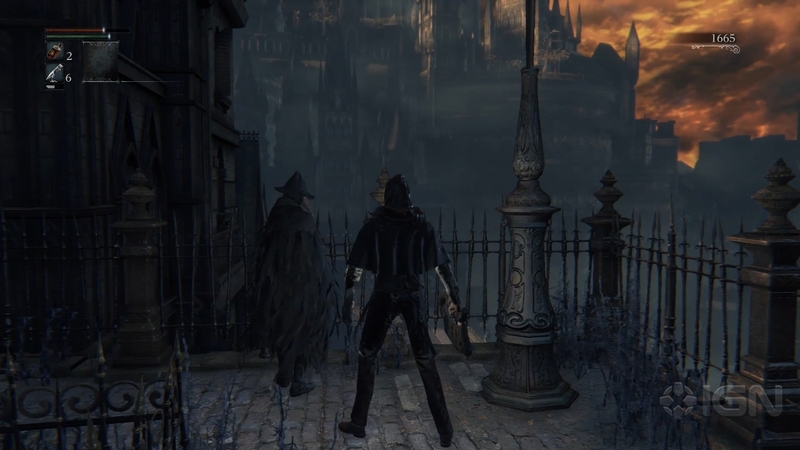 Locked Door in Cathedral Ward: At the end of Yharnam Path guarded by Church Giant (Wrecking Ball), left to the chest with Blood Gem there is interactible door. It can never be opened though. 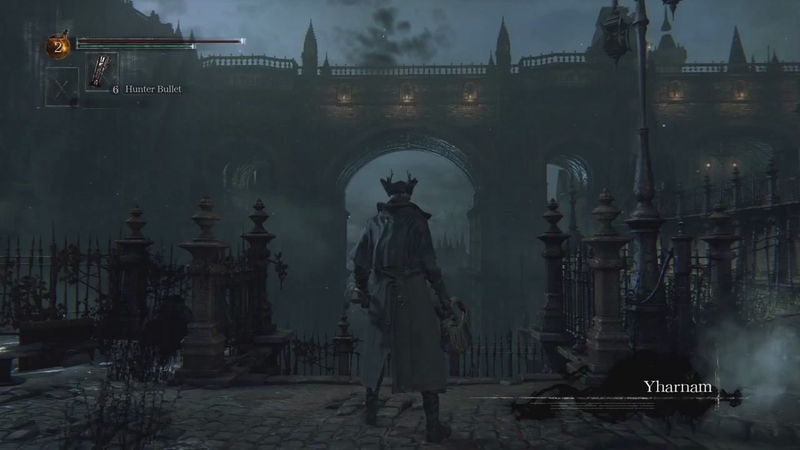 It is confirmed that it leads to the Central Yharnam at the end of the Great Bridge where you fought Cleric Beast. 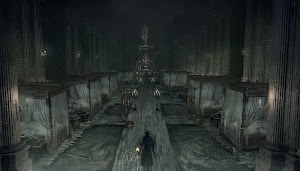 Central Yharnam side wasn't made interactible, cutting off this possible shortcut somewhere in the development process. 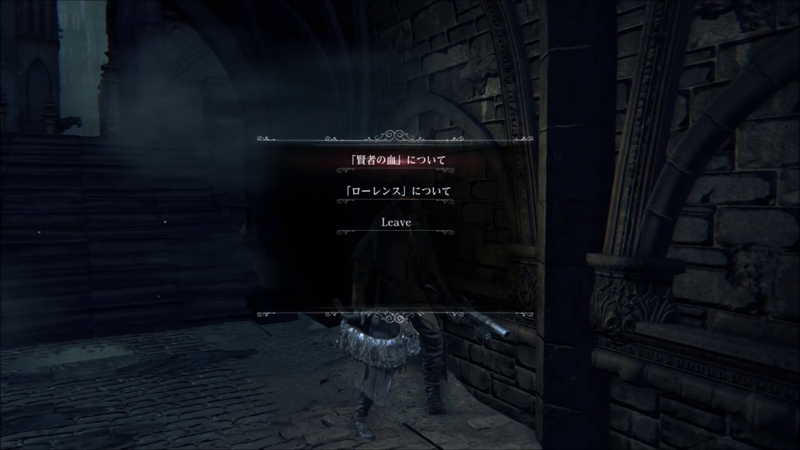 Eurogamer Report: Interacting with said door brings up a prompt that says "closed". Not "locked". Not "does not open from this side". Just "closed". 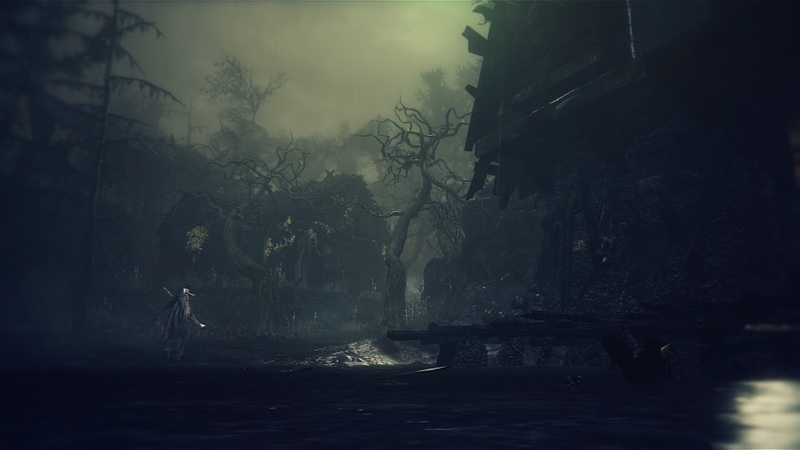 Many assumed this required a key that nobody had found yet, or that it would reveal a new area as DLC. 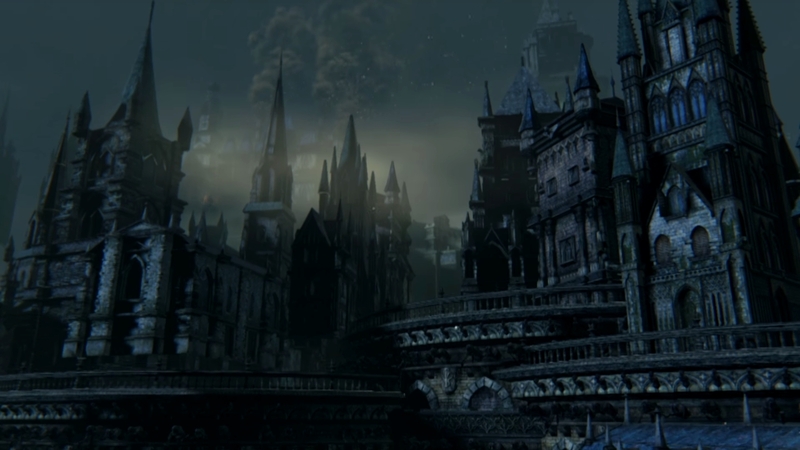 Others assumed that it linked back to the end of the Great Bridge, where you fight the Cleric Beast. 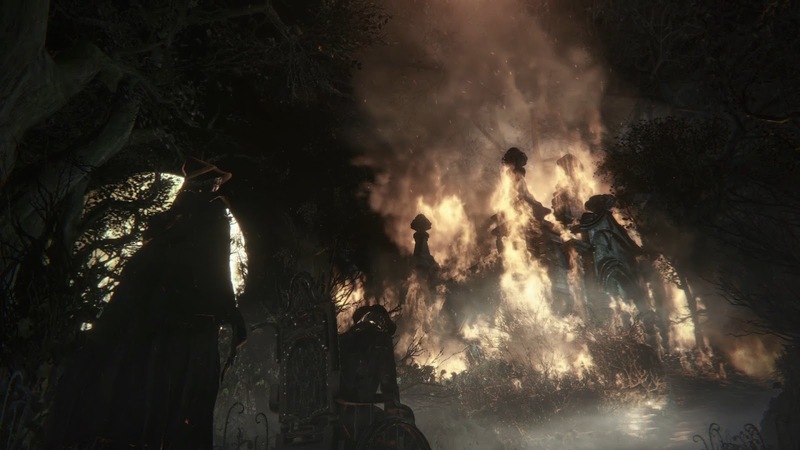 UPDATE 23/04/2015: Eurogamer has learned from someone close to the project that the mystery door did in fact open in a pre-release build of the game. Apparently there were no performance hiccups going from one area to another either. That means it was cut either for lore reasons, as a way to troll players, or to prevent people from being really underwhelmed by what would ultimately have been a fairly useless shortcut. 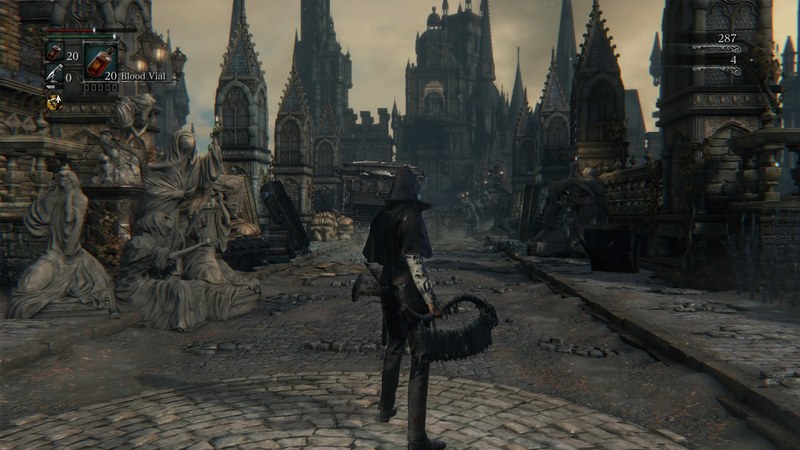 Acquired by defeating Father Gascoigne in glitched area in alpha tests. 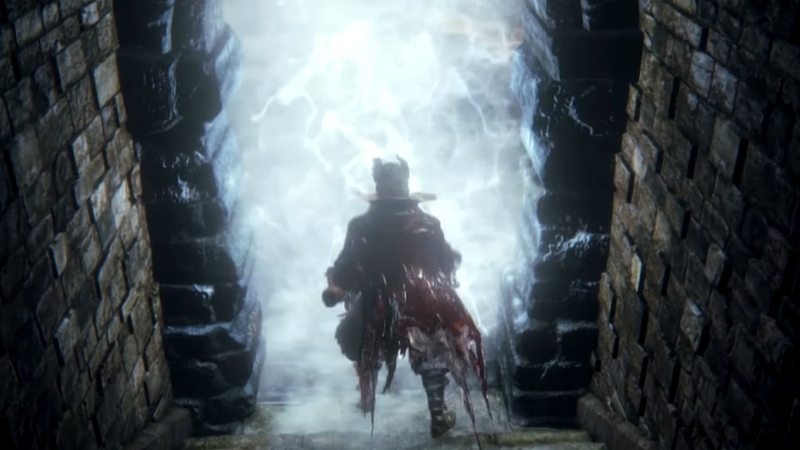 It is speculated to open the door behind Cleric Beast on the Great Bridge. 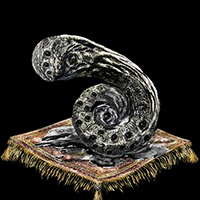 UPDATE: Confirmed with datamining of alpha build, this key is required to open the door. You get a prompt "Can not be opened from this side" but then the door just opens. 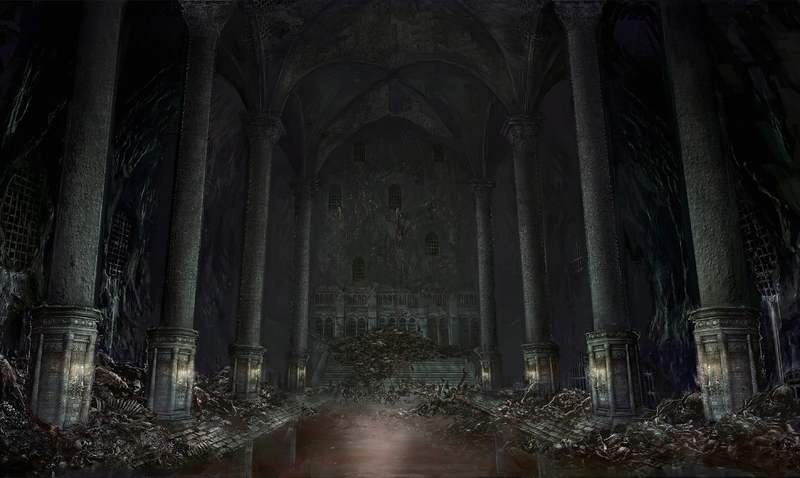 There's nothing there, you can't walk through, and you can see that there's an empty void, the same as the one in the final game. 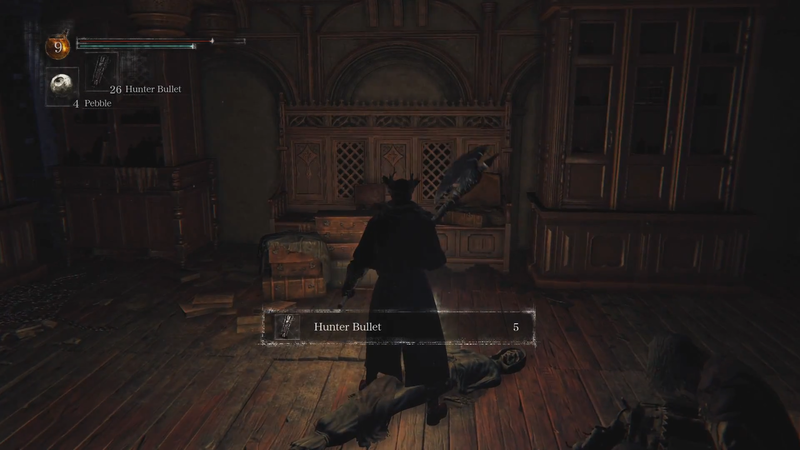 Treasure in Central Yharnam in alpha tests, gradually restores HP and player has green aura when used. During alpha tests a different icon for Oil Urn was used. 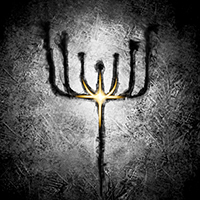 This icon was used in all pre-alpha footage on Gamescom 2014. 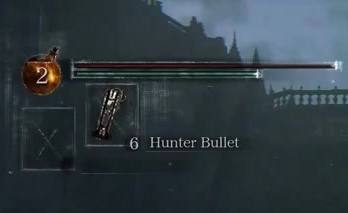 Different name and icon was used for Quicksilver Bullets before alpha tests. 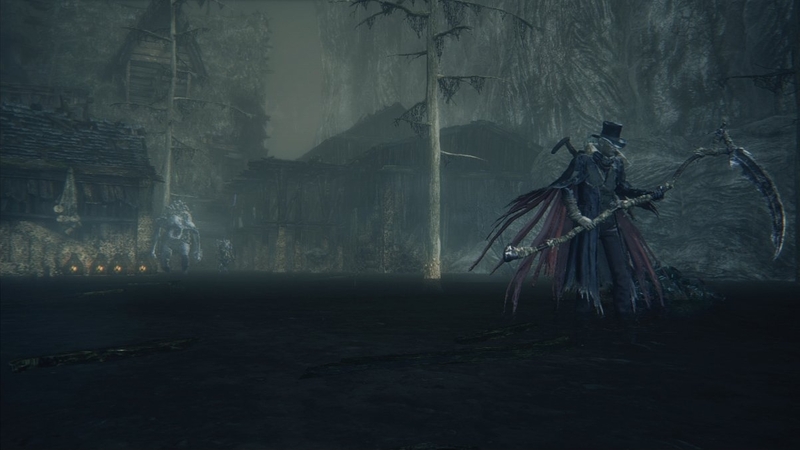 There were two armor sets in glitched area during alpha tests: Hunter of the Blood of Glemia & Yharnam Spy set. 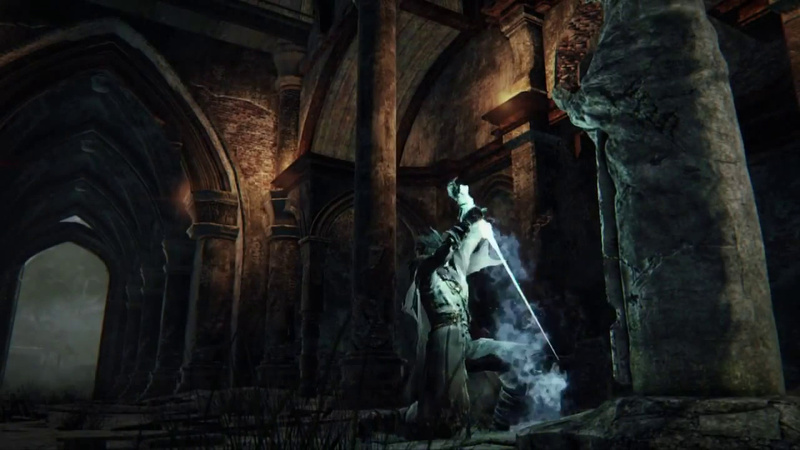 The Beckoning Bell used to be named Lulling Bell during alpha tests. This icon of Small Resonant Bell was used during alpha tests. This Notebook's icon was used during alpha tests and in builds during IGN first on Feb 2015. ...Let there be no doubt. If it moves, you can be sure it's a beast...And even if it doesn't, well, don't take any chances. 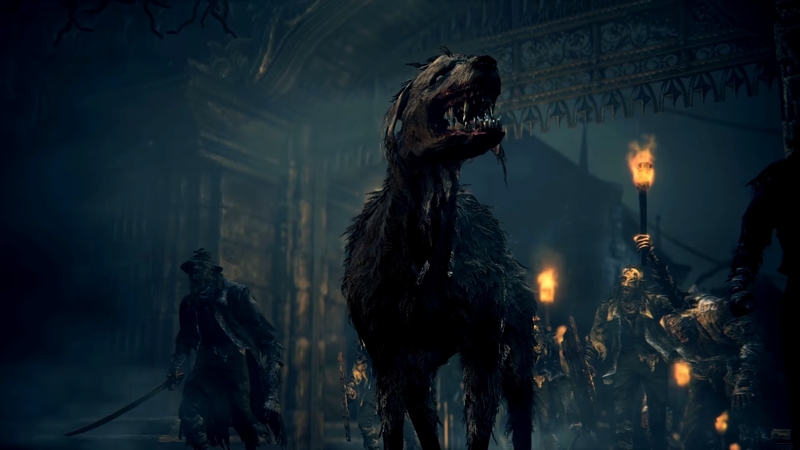 Long ago Old Yharnam was overrun by the plague of beasts and left to rot and decay and now the only voices heard there are howls of beasts. 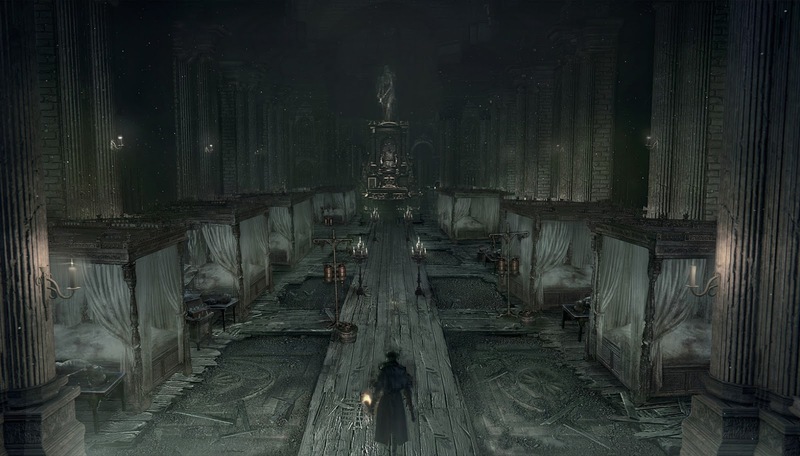 The Boss Rush effect, in which you'll have to battle a few bosses one after the other, in a room that's exclusive to the effect. For more information go to Save-editing Chalice Dungeons. 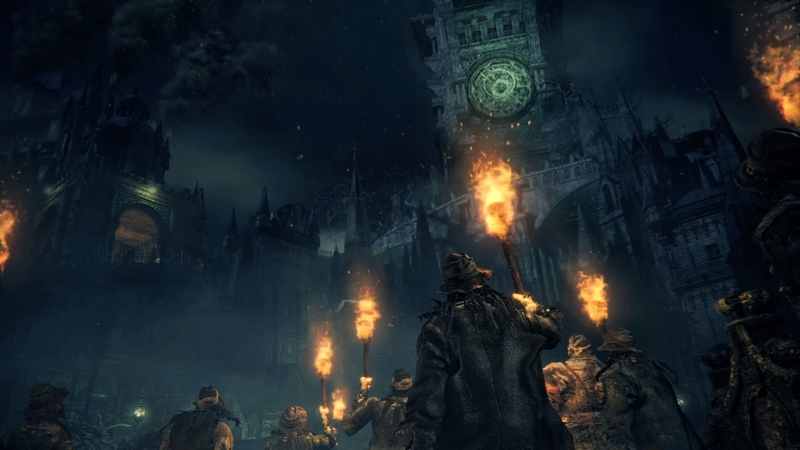 If you're playing offline, this offering will cause the Bell Ringers to summon powerful NPC hunters instead of other players. 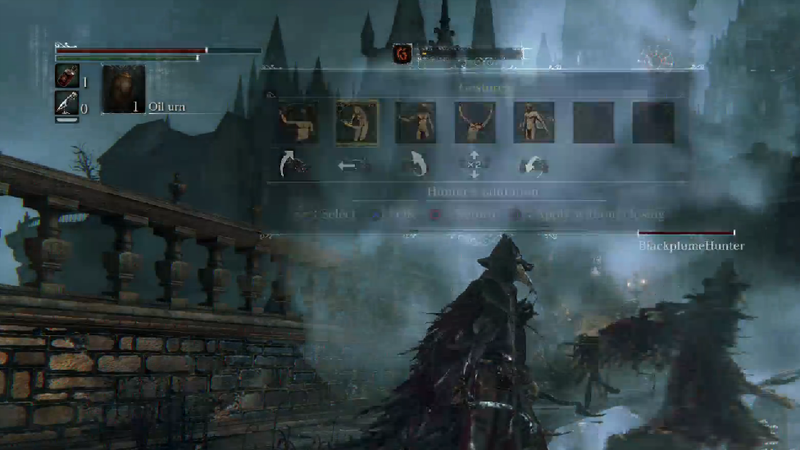 First version of the HUD which was showcased in all Gamescom 2014 footage. 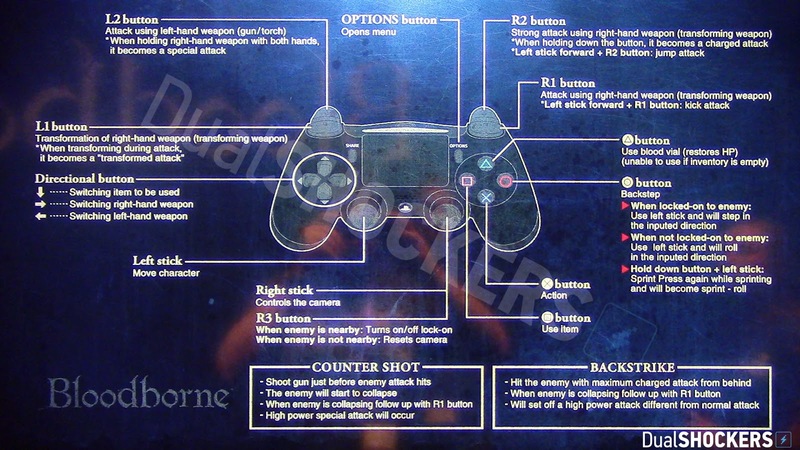 After Gamescom 2014 old HUD was redesign and this one was used during alpha tests. 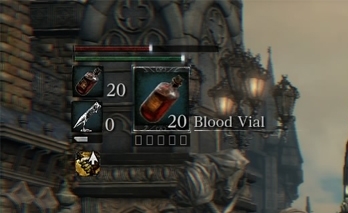 Only one image showed this post-alpha HUD in promotional images before game release. This is believed to be early "checkpoint" mechanic later replaced with lamps. 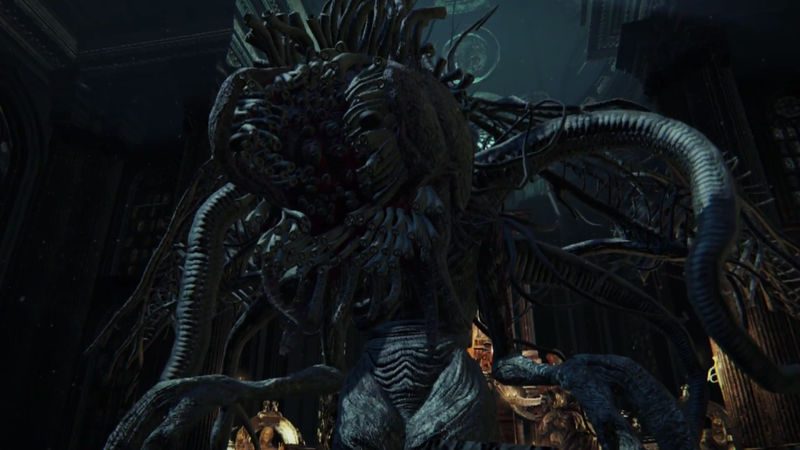 This was believed to play much more important role than it ended up to be in final game. 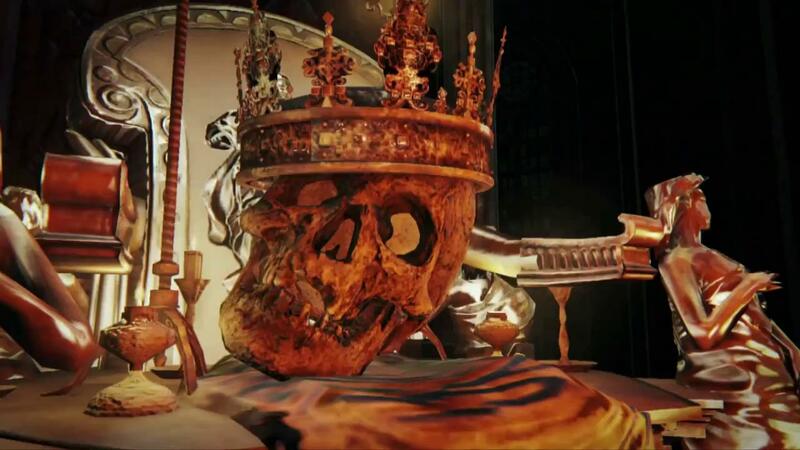 Placed in Grand Cathedral guarding Laurence's Skull. 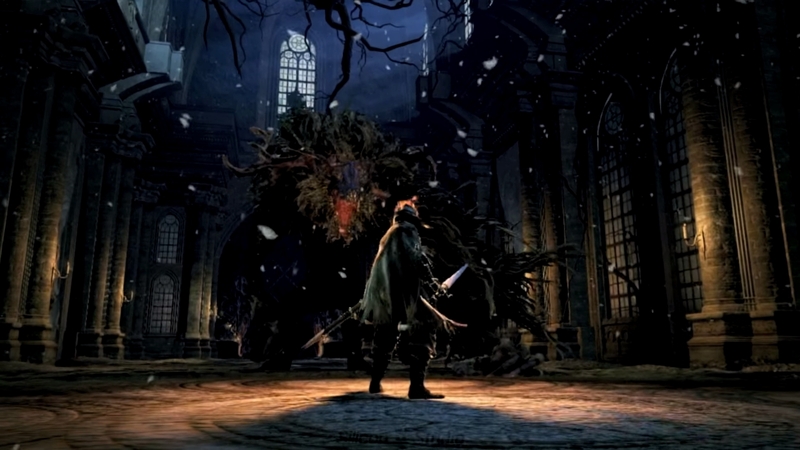 This time Cleric Beast is faced in Grand Cathedral and player wields unused sword. 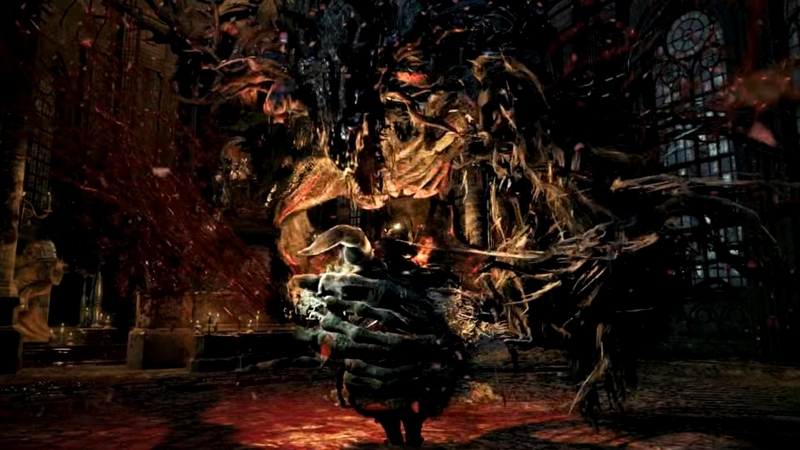 As you can see fighting Cleric Beast inside was experience to behold. 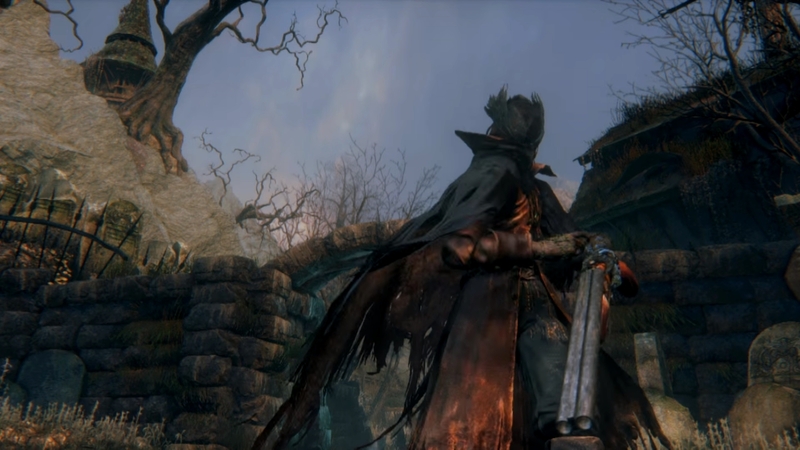 Chalice Dungeon enemy Labyrinth Watcher placed in Forbidden Woods. 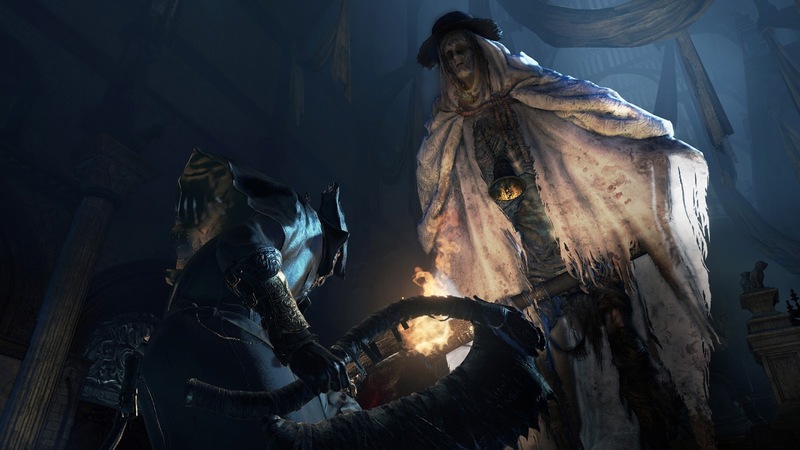 Chalice Dungeon enemy Loran Cleric placed in Yharnam area. 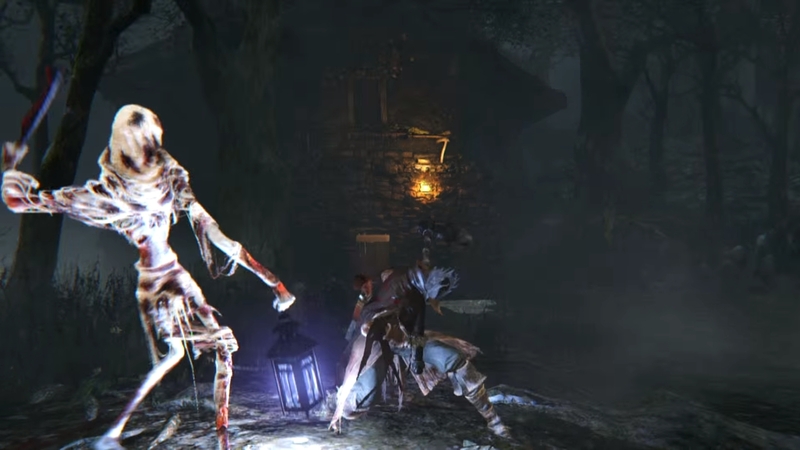 Vicar Amelia was early in development placed in "Witches Abode" in Hemwick Charnel Lane. 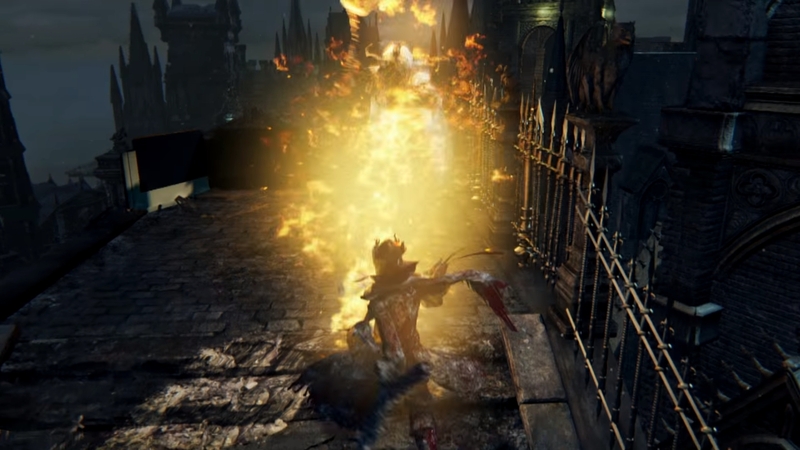 In leaked Project Beast trailer there was shown blocking with a weapon. 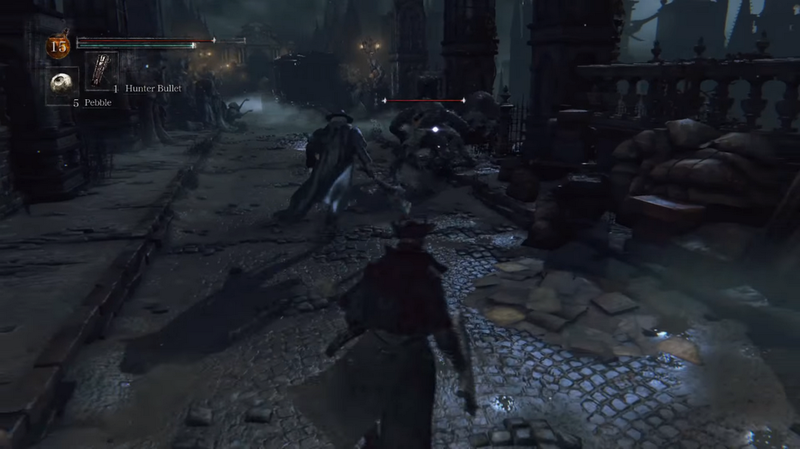 Screenshot from Gamescom Build with first version of the HUD and area named simply "Yharnam"
In earlier shots different lighting was used in some areas, compare it here with retail version. 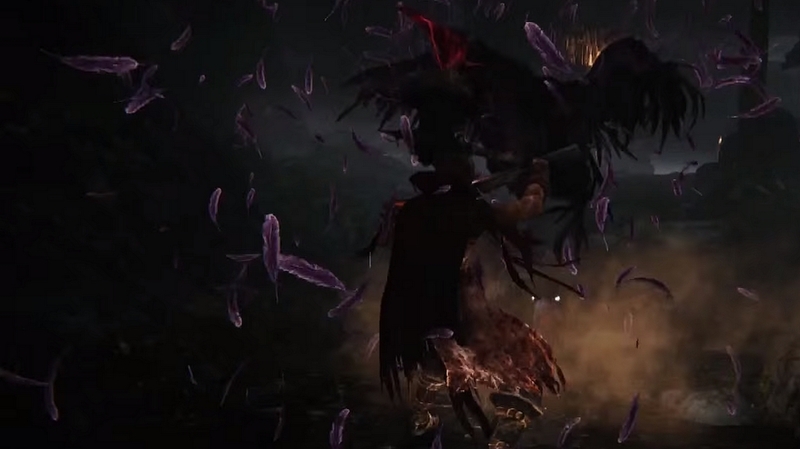 Screenshot taken from Gamescom 2014, including kick attack performed by left stick forward + R1. 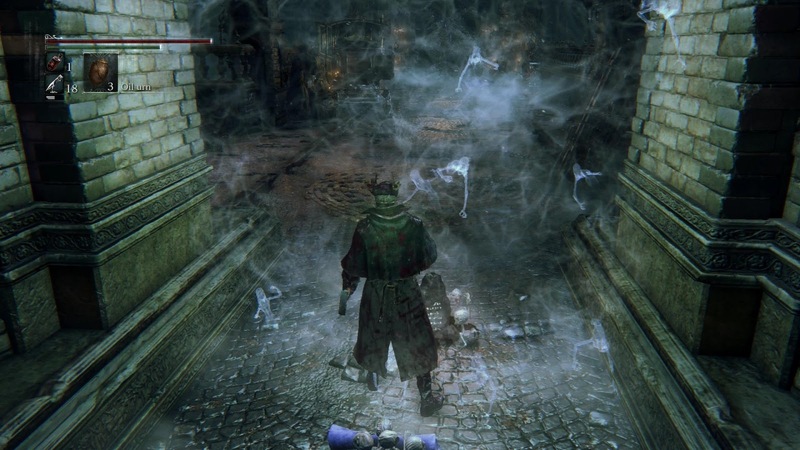 This attack was present in the game until Gamescom build, later it was removed and its role taken by transformation attacks. 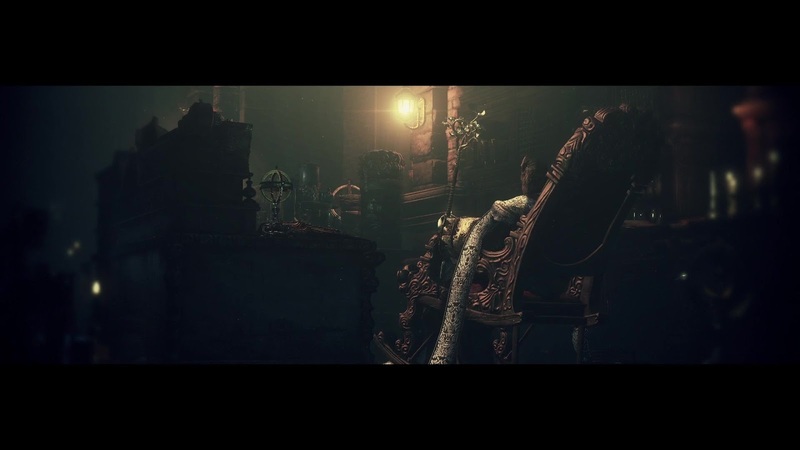 This scene was included in Gamescom 2014 trailer, Provost Willem in Byrgenwerth college. 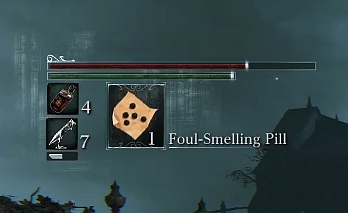 When this item is used you see its effect by green aura. 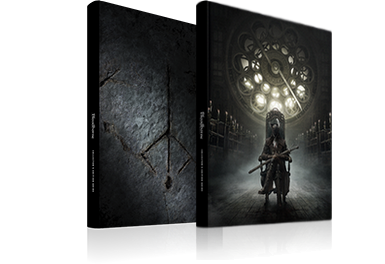 Placement and visual are changed from final version of the game. 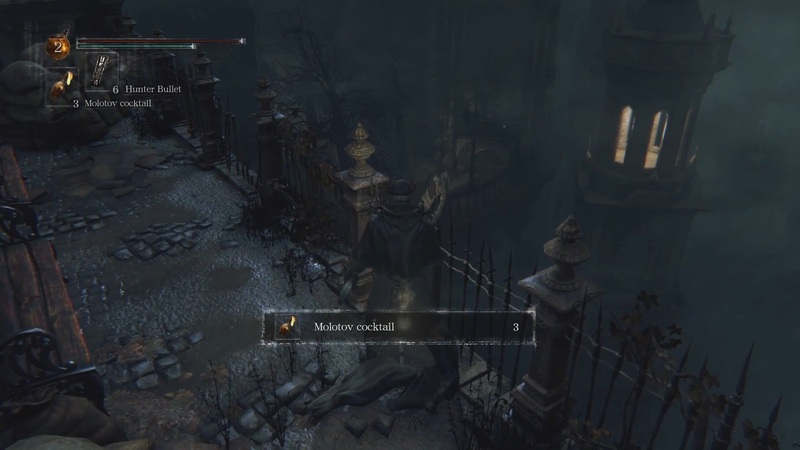 Mysterious Bar filling up when boss is defeated in coop during alpha. 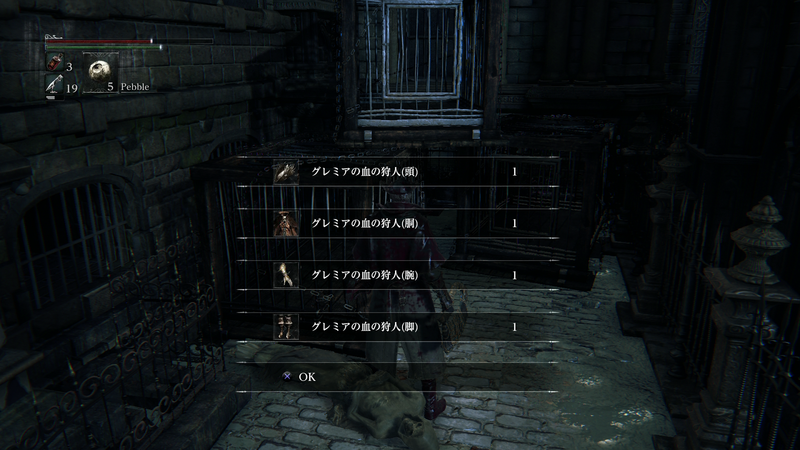 Found in glitched area near Dry Dock, JP translation is Hunter of the Blood of Glemia. 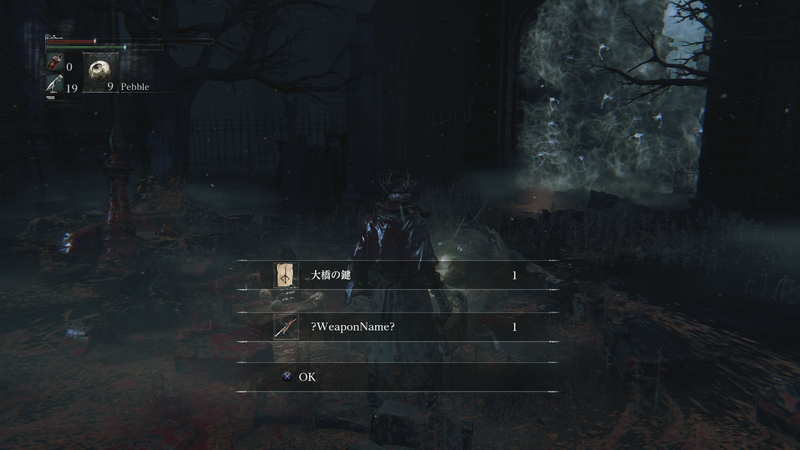 This one found in Aqueducts, JP translation is Yharnam Spy set. 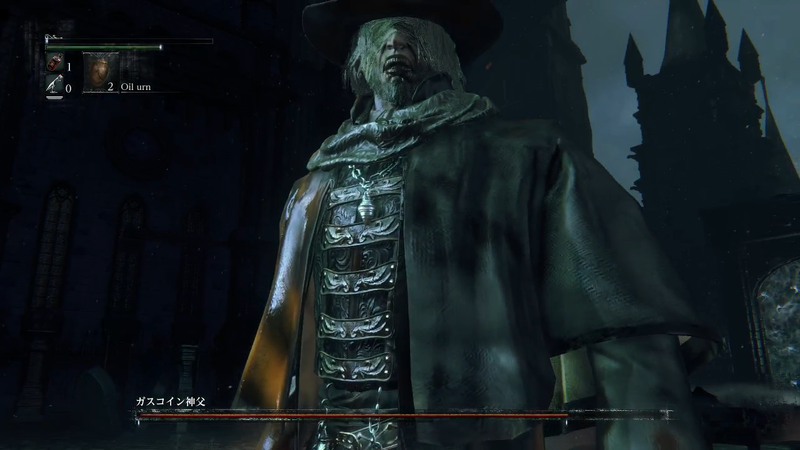 Small visual changes to the boss in glitched area during alphas, also Gascoigne could destroy tombstones with his firearm. 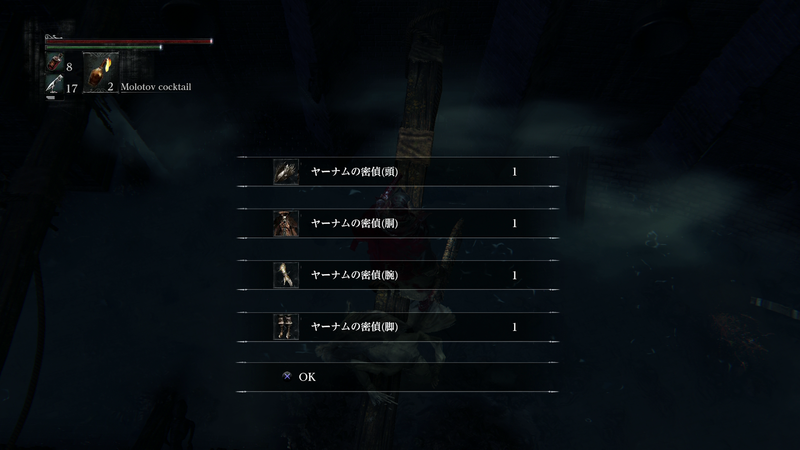 Defeating Gascoigne gave us "Bridge Key" and unknown weapon. One of the most discussed unused piece of content. 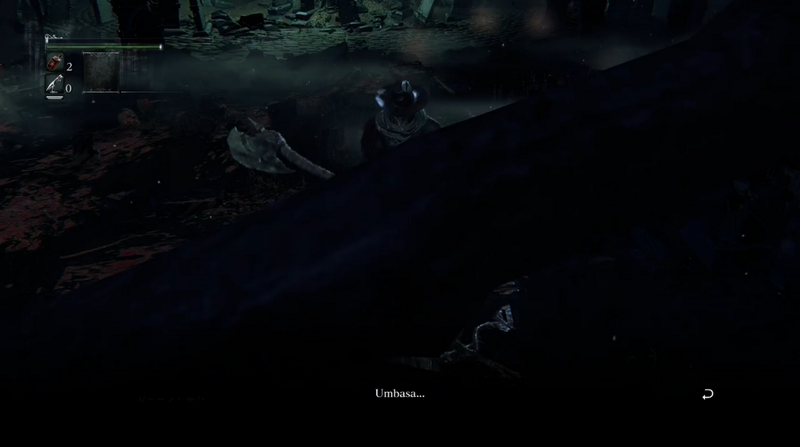 When player is killed during boss fight, Gascoigne says: "Sick creature... May you rest in peace...Umbasa..."
Different animation during transformation to beast form. Particularly Arcane icon is pictured here as an apple. 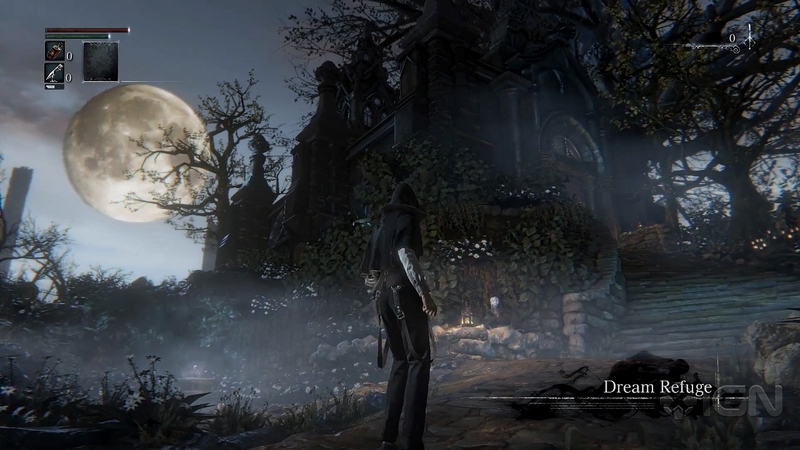 Hunter's Dream was named Dream Refuge in pre-release build. 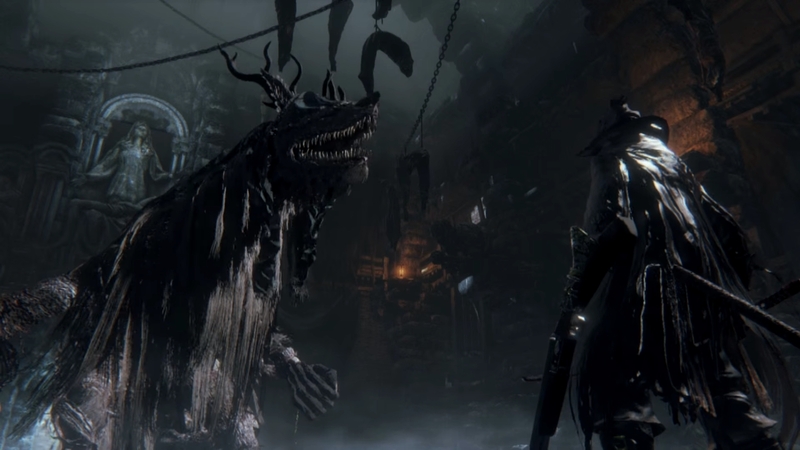 Eileen the Crow was situated near caged dogs before Dry Dock which makes her easier to find than in final game. With day 1 patch "Murky Deep Sea" Caryll rune was renamed to "Clear Deep Sea" as seen here. 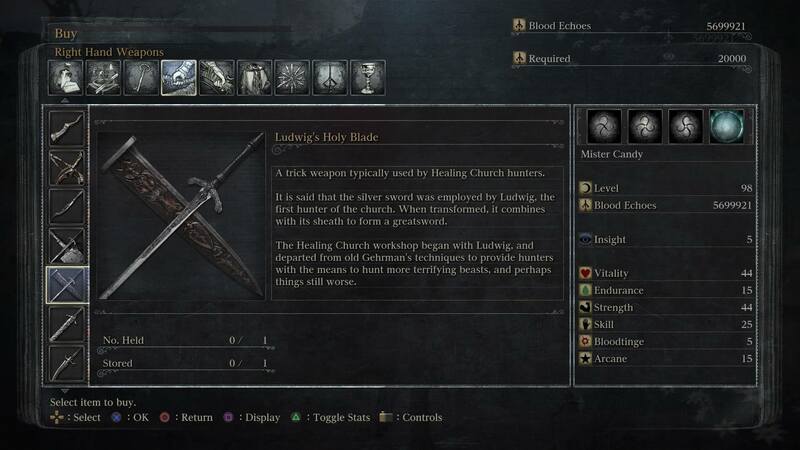 "A trick weapon typically used by Healing Church hunters. On the one side, an easily handled silver sword. 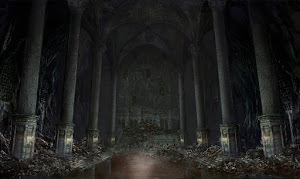 On the other, a giant obtuse stone weapon, characterized by a blunt strike and extreme force of impact. 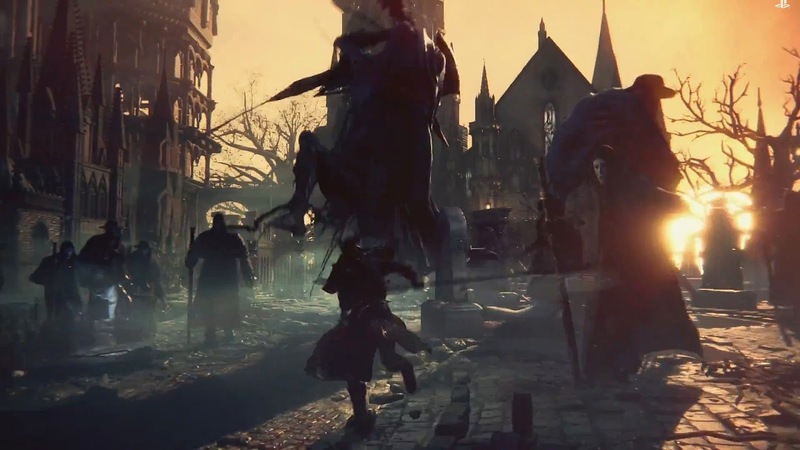 The Church takes a heavy-handed, merciless stance toward the plague of beasts, an irony not lost upon the wielders of this most symbolic weapon"
After patch 1.07 description was changed to this description. 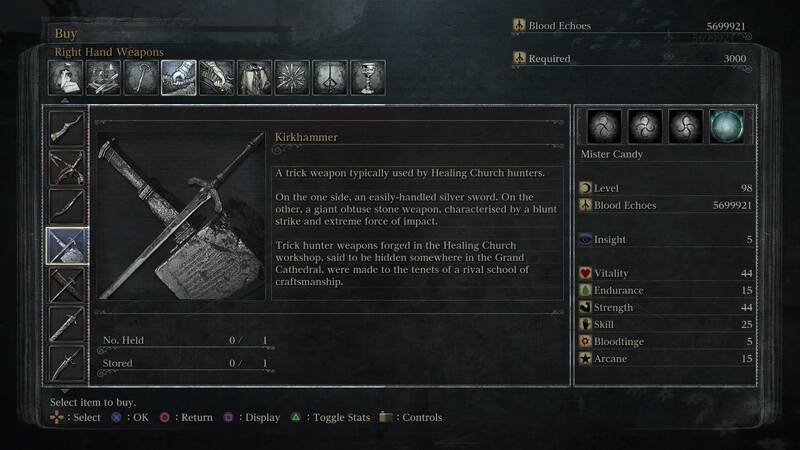 "A trick weapon typically used by Healing Church hunters. 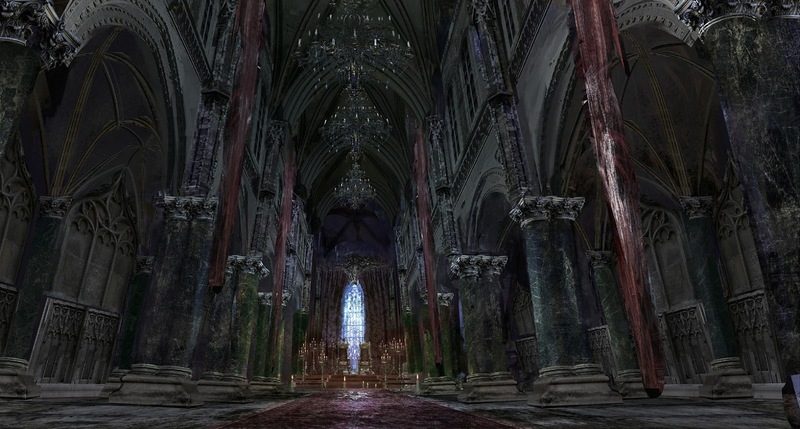 It is said that the silver sword was employed by Ludwig, the first hunter of the church. When transformed, it combines with its sheath to form a greatsword. 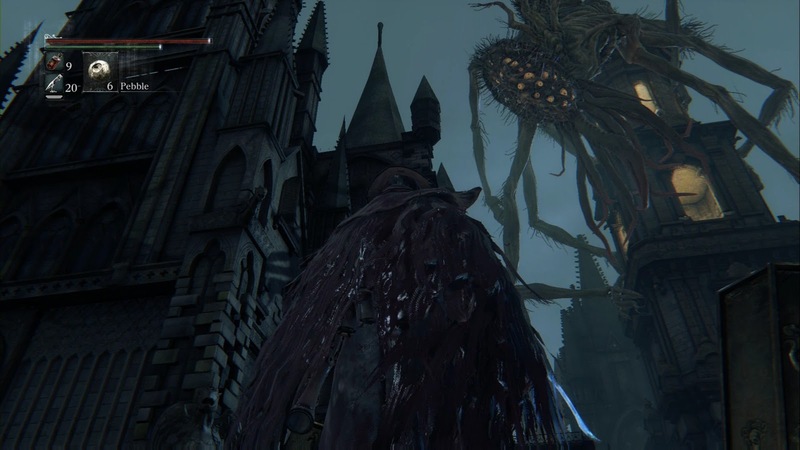 It exhibits several departures from the workshop's design, suggesting that the Church anticipated much larger inhuman beasts."